In his engrossing new biography of John F. Kennedy, Chris Matthews tells us that, in 1958, after he won re-election to the U.S. Senate and was preparing to run for president, Kennedy dropped by Congressman Tip O’Neill’s office. He wasn’t there to talk about public policy; he wanted to know from the congressman’s political aide, Tommy Mullen, precisely how neighborhoods in O’Neill’s Boston district had voted. The key word is “student,” because Kennedy wasn’t a natural politician the way that, say, Bill Clinton was. Before running for office in 1946, Kennedy’s social world was pretty much confined to Harvard, Palm Beach, Hyannis Port, and London. He knew little of working class Boston and, surprisingly, not much about Irish Americans. He also knew next to nothing about how people got elected to office. So he set about learning by visiting local politicians and asking their advice. What does this have to do with cities and leadership? Just this: As we’ve grown in recent decades in our knowledge of urban economies, street-level planning, city design, the value of diversity, government finance and management, we’ve lost an essential leadership skill – the craft of city politics. Put another way, we now have a great storehouse of what ought to be done, but less and less knowledge of how to do it. I’ll offer some ideas about dealing with our political knowledge deficit, but let me begin with two caveats. First, city government is not the same as a city. Cities are complex human environments made up of many dynamic parts, from economics and demographics to technology and culture. And cities are themselves nodes in much larger environments – regional, national, and global. But if local government isn’t the sum of a city, it is surely the most influential part. That’s because only government has the mandate, platform, and most easily mobilized resources for addressing the issues facing a community. Think of government, then, as the rudder of the ship and some of the sails. And politics? That’s how we decide who gets to be helmsman . . . along with a good portion of the crew. My second caveat is that politics is about two things. First, it’s about electoral politics, which is what brought Jack Kennedy to Tip O’Neill’s office in 1958. In other words, how people get elected. But second, politics is about legislation, which is how groups of elected officials, government regulators, and other decision makers come to consensus (or don’t) about what to do. Everyone who wants to be a serious civic leader at the neighborhood, city, or regional levels needs to know both kinds of politics: How people get elected, and how government decisions are made. And not in a textbook way. You need to know how your current mayor ran for office, how she put together a winning coalition, and who was part of the coalition. And you need to know how your city’s most important ordinances were crafted, who was part of the discussions, and how the proposals changed as they moved through the process. Why is this knowledge important? Because you need to be involved in picking the right helmsman to steer your city. And if you’re going to serve on the crew – along with people from government – you better know how they work so you can do your part. But how can you learn about the two kinds of politics in your city? First, you can learn it as JFK did, by visiting politicians and asking them. (You’ll be surprised by how candid they’ll be if they trust you.) Second, you can hope for more media attention to the craft of politics. This probably won’t come from the traditional media but it might from new media, such as civic websites, podcasts, or even some alternative weekly newspapers. Finally, you can create your own discussions. I have some experience with this. For a number of years, I moderated a panel of mayors for the annual International Downtown Association conference called “Everything You Ever Wanted to Know about Politics But Were Afraid to Ask Your Mayor.” We got together three or four mayors from around the country and let downtown executives ask them difficult questions. And it’s not just civic leaders who need to know how politics work. So do people who work in city halls, many of whom are surprisingly uninformed about their mayor and city council. Every college planning department and government management school ought to have seminars with politicians who explain how they got elected and how they put together legislation. And every government professional organization (yes, I’m talking about you, American Planning Association) needs to offer refresher courses at its annual conferences. Finally, it would be a good idea if politicians talked more about politics among themselves. The thing I noticed about the mayors on my panels was how attentive they were to each other’s stories and advice; it was as if they were taking notes. This kind of peer learning is important because, if we had better politicians, we’d have better cities. And it’s particularly needed on the legislative side of politics because it’s hard to get big things done in communities. 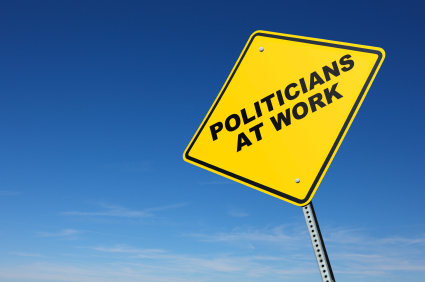 Many well-intended politicians aim too high and fail – or too low and accomplish little. Get the politicians together, let them talk about what worked and what didn’t, and they’ll improve each other’s winning percentages – and that of their cities. John Kennedy would have understood the value of peer learning. For all his eloquence and glamour, JFK was a cautious politician who left little to chance. If someone said he’d vote with Kennedy on a major bill, JFK wanted to be absolutely sure he could depend on it. Apparently, this was something he had learned early in his career from talking with Boston politicians. Something about being fed honey but winding up with a fish in your throat. Thanks. Well written article. Very effective in thinking about the process of developing leaders that have to work with politicians. I think our planning schools do an injustice in not focusing enough on practical theories for community development. Good idea about the seminars. Great article, and great ideas! Thanks for this.